FLORA - MURALS - INTERIOR DESIGN - MEUHEDET MURALS - WALL MURALS - GIRL WITH FLOWER. LOCATION: MEUHEDET HEALTHCARE SERVICES IN ASHDOD, PEDIATRIC OFFICE. 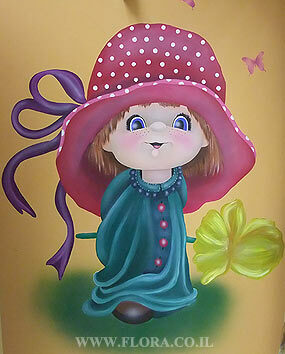 Wall murals - Girl with flower. Location: Meuhedet Healthcare Services in Ashdod, Pediatric office. Muralist: Flora.